When Nigel chose metallic silver as the theme colour for the project, the name Quicksilver spontaneously followed. The bold aesthetic honours two British speed-record aces of yesteryear, John Cobb and George Eyston, whose most famous machines were silver. Symbolism's alive in the Quicksilver logo, which Nigel created with his friends, Nottingham graphic-designer brothers Terry and Brian Godfrey. Flowing lines evoke the nature and dynamism of water and air, while vivid colours in the wave underscoring the name signify combustion. The distinctive blue wave set within the letter Q honours two more British speed-record heroes, Sir Malcolm and Donald Campbell, with their iconic Bluebirds. 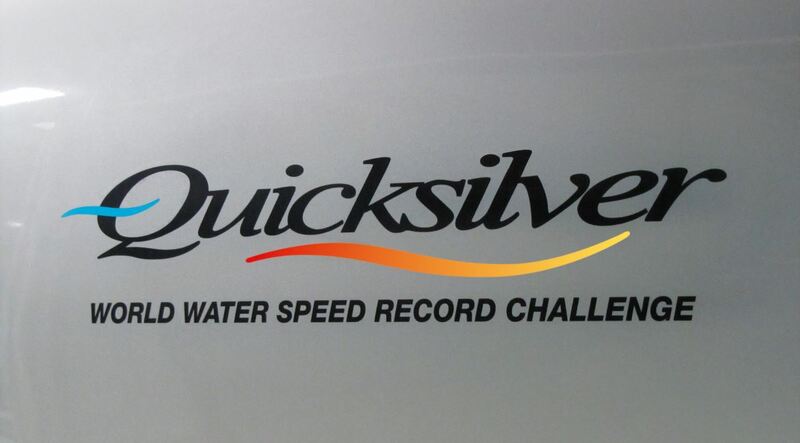 The Quicksilver logo is pictured here displayed on the boat's port sponson. There is also an abbreviated form of the Quicksilver logo, used extensively on our team clothing, printed materials and so forth. Introduced at a later stage of the project and referred to simply as "The Q ", it is an elegant distillation of the key elements of the full-length logo, and – in common with it – has both black and silver versions, so that it can be clearly set against any background colour. 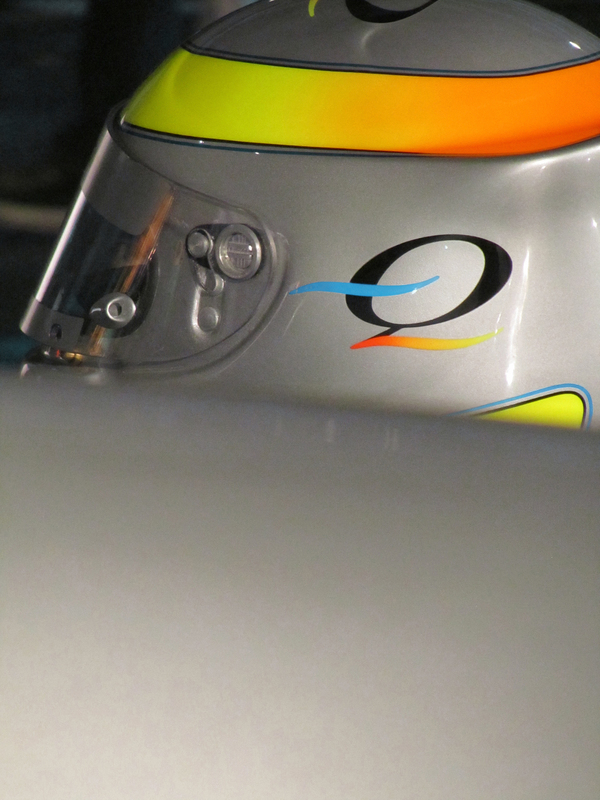 "The Q " is prominently displayed on Nigel's crash-helmet and will also appear on the finished boat.